No one has made a film quite as beautiful as Malick’s Days of Heaven and The Thin Red Line, until Andrew Dominik’s The Assassination of Jesse James by the Coward Robert Ford. Assassination echoes so much of Malick’s themes and rhythms: the crisp golden colors of dawn and dusk; a score as emotional and memorial; the feeling of elegy; the narration by a naïve and lonely youth, yet the message is different. 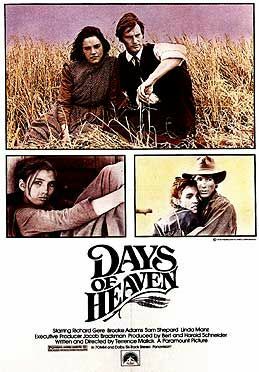 Days of Heaven is about a young man and his struggle for a better life in the years before World War I. Bill (Richard Gere) accidentally kills his boss at a steel factory in Chicago. With his younger sister, Linda (Linda Manz) and girlfriend Abby (Brooke Adams) he heads to Texas just in time for the three of them to be hired as harvesters on a young farmer’s (Sam Shepherd) land. After the harvest, the farmer asks Abby to stay on, and Bill overhears the farmer’s doctor explain that the farmer may only have a year to live, so Bill schemes with Abby to accept the farmer’s proposal so they can all have a better life. She does, and they do live in the days of heaven for about a year, until the farmer doesn’t die, Abby falls in love with him and Bill can’t stand not seeing Abby anymore. The story is just a few years after The Assassination of Jesse James, and feels the same way as The Assassination of Jesse James, but it has one character that Dominik didn’t have: the younger sister. Linda perseveres where Robert Ford can’t. Ford looks back on his days of heaven, when he was riding with the notorious outlaw, and regrets killing him because it was done in naivety—murder in hopes of glory. Linda goes on after all are gone to live a courageous life. Linda narrates with the ambiguity of the Bible, weaving that constant theme of Biblical allusions: a lover called a sister, a plague of locusts, fields afire, murder, lies, loss and exile. But it is Linda’s lack of emotion that is gripping. As if, like the writers of the Bible, she is just looking back on a time that most impacted her, but which she can least remember. At the film’s end, the message is clear: The extremes of life will be felt—pain and happiness—and in the end living on to tell the tale with courage will leave the most impact on the listener. 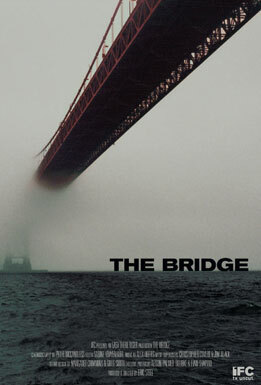 This film is about a bridge, but not just any bridge, it’s about the suicides at the Golden Gate Bridge—the most off any bridge in the world. What the film does well is heart breaking and horrifying: it captures numerous jumpers on camera—a feat not meant for anyone, but undertaken by the filmmakers. Though the film doesn’t do anything too well, it does explicate on the mental illness behind most suicides and though it is tragic, it strongly promotes these illnesses as the reasons for suicide—an idea not as common by many people who scoff at the selfishness of suicide. But this film reveals the inescapable pain shared by family members and jumpers, and that life often feels hopeless, and may just be in some cases. It’s interesting, ominous and eerie, but tread carefully. Breasts: large, small and grotesque. The first images of the film are of mammograms being administered, showing the female body in its lowest form. Director Nicole Holofcener’s portrayal of the frailty and fading of our bodies is more than skin deep and is no reflection of her film, which is fascinating in its neurotic characters and down-to-earth plot, but has room to excavate further. Kate (Catherine Keener) sells mid-century modern furniture with her husband, Alex (Oliver Platt) which they obtain after the owners have died. What they want to buy most is the apartment next door occupied by a frail 91-year-old woman whose granddaughters also become strangely close with Alex, Kate and their daughter, Cathy. The juxtaposition of brand new $200 jeans and $1,400 antique bookshelves is purposeful. Kate throws around $20 bills to homeless persons, but can’t manage to heal her guilty heart. The idea of guilt (though not white privilege) is introduced and not solved. Possibly because it cannot be solved entirely in an entire lifetime let alone a film, but also because the film becomes more about the relationships than the guilt—leaving the guilt hanging. As Cathy finances her pimple removal and Kate complains about her elbow skin cracking their elderly neighbor dies and that’s when guilt is swept under the rug for more important matters, like caring for your neighbors granddaughters who are now alone in the world. Holofcener’s previous films (Friends With Money and Lovely and Amazing) are decent understandings of life’s little frustrations, but Please Give is her best because it expresses content for ordinary life while addressing guilt and death, yet it still doesn’t go deep enough. In spite of its shortcomings I’d start here with Holofcener’s collection. Ridley Scott is not my favorite director or even close to my favorite, but I have to say this film was impressive. He used less of his close combat shots so I could actually see what was going on, and he had a stellar cast—the English guys really know how to do American war films. I liked the film and wouldn’t put it on my top five best war films, but maybe top 10. The first time I saw this film was after my senior year of high school, the second time, after my senior year of college. Though I laughed the first time, I appreciated it more the second time (and still laughed). It’s one of the best last day of school, first day of summer movies—my generation’s American Graffiti and everyone should see it at some point as a high schooler and maybe again as an adult. If you’re not a Streisand fan don’t discount this one yet. I like some musicals and have never enjoyed a Barbra Streisand song or film, but this one is different. For one, it’s got Omar Sharif and two, it is pretty funny and entertaining. If you like musicals at all and haven’t seen it go for it, if not, that’s OK too. 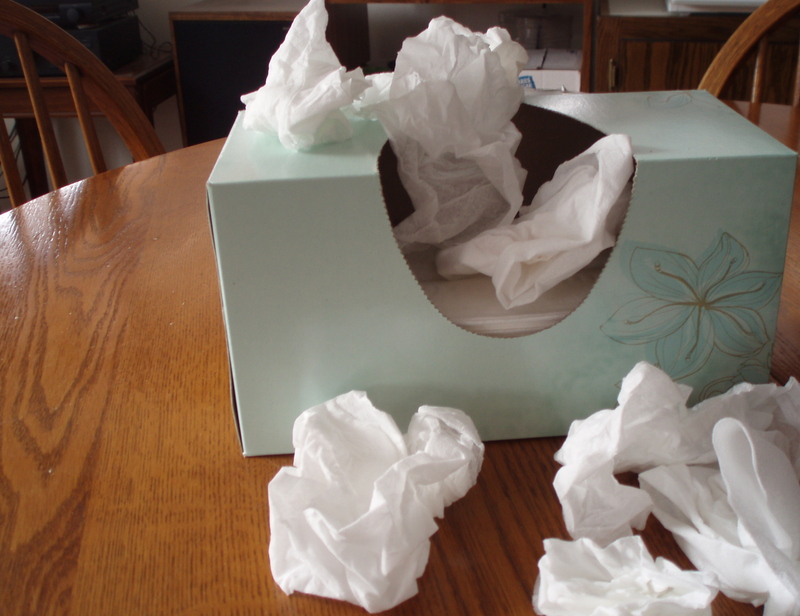 I’d already worn through six tissues by the time the music started to play. As the photos and home videos slid across the screen, tears ran uncontrollably down my face again. I futilely tried to mop them up with yet another tissue, trying not to focus on the presentation at the front of the sanctuary. Instead, I glanced over at my roommate who was sitting with what was left of her family, all clad in black and staring stoically at the front screen. How could this happen? I thought. How could someone so kind, so highly respected and so generous die? He did not deserve this. His wife and his family don’t deserve this. Why did this happen? When my roommate and best friend’s dad died from a long-term battle with cancer, I knew it was inevitable that I’d struggle with why such a thing had happened. He was great dad, a caring husband, a giving friend. He consistently poured into people’s lives, whether it was with his time, with financial support or with his other resources. He hadn’t done anything wrong – so why did he and his family have to suffer? I’ve since discovered that maybe my musings were entirely misdirected. Maybe, though it seems illogical, I shouldn’t be asking why? Maybe what I should instead be considering is whether or not I can ever know why. Scientists have been studying something called the butterfly effect for decades. The butterfly effect, put simply, is the theory that, in the right conditions, the flap of a butterfly’s wings in Canada can cause a hurricane in Thailand. This theory, combined with what scientists call the chaos theory, leaves us with a lot less knowledge than we think. You’re driving your car down the your street and you come to a four-way stop. You carefully come to a complete stop, look both ways, see no cars at the intersections to your left or right, so you start pulling out into the intersection. 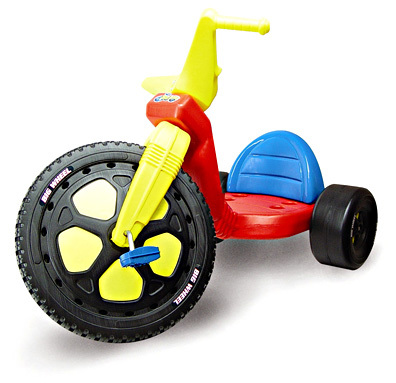 As you’re accelerating through the middle of the road, you feel a sudden jerk, hear the screech and clash of metal on metal and your car begins to fishtail. Another car has just hit the back end of your car, causing an accident that will test the limits of your insurance company. Why did this happen? You looked both ways before proceeding into the intersection. You didn’t see any cars that were near enough to the four-way stop to indicate that they should have had the right of way. What did you do wrong? You did nothing wrong. You controlled only what you were able to control at that moment – yourself and your car. To try to fully understand the cause of this accident, let’s look at the few minutes before your disastrous four-way stop incident. You woke up early today and had a few extra minutes before you had to leave for the day, so you took your time on breakfast and jumped into your car early. You left your house 10 minutes before you normally do, but realized halfway down the block that you had forgotten your bag. You turned around, wasting five of your extra minutes on your forgetfulness. Then, as you started pulling out of the driveway in your car, you saw your neighbor’s cat crossing the street. You waited for her to trot across before you made your way down the block. You saw a friend driving by so you slowed down to wave, and then you had to stop to let a couple of pedestrians pass. You had finally made it to the four-way stop, checked for other cars and started to drive through when you were hit. To know why you were in the intersection at the exact second that you were, you’d have to know all of those things, plus you’d have to know what caused all of those individual incidences. Why did you wake up early? Is there a reason you took extra time for breakfast? What made you forget your bag? Why was the neighbor’s cat crossing the street when you were pulling out of the driveway? Why was your friend driving down your street at the same moment you were heading off for the day? Why were those pedestrians crossing the street when they were? Did the person who hit you see the stop sign? Was the road slippery? Did she leave on time or was she rushing? If this many questions arise from the simple act of leaving your house for the day, how many more questions would arise from a much more complicated incident like my friend’s dad dying from cancer? I’d have to understand how and when he got cancer and what caused it, his family medical history, what his treatments were, when he had them, when they worked and when they didn’t work… the list could literally go on forever. And if I can’t even fully understand the reason your car was hit in that intersection, it’s nearly impossible to understand why my friend’s dad died. Put simply, the world is interdependent. What happened that morning to cause you to leave your house at the time you did was affected by things you did the night before. Things you can control, like what time you went to bed, affect it. But variables you can’t control contribute as well, such as your neighbor’s cat walking across the street. The accident was also caused by things other people did, like the woman who hit your car, over which you have no control. To look at it on a much wider scale, fully understanding why your car got hit that morning requires you to know and understand the exhaustive history of the world. You’d have to know why the roads near your house were built the way they were, to facilitate the need for a four-way stop. You’d need to know when the woman who hit your car was born, what made her old enough to drive at that instant. The more history you knew, the closer you’d be to ascertaining the reason for your car accident. But, it’s impossible to know the exhaustive history of the world. And, if it’s impossible to know all of history, it also seems impossible for us to understand the true reason why such a car accident happened. The conditions in which the accident happened are directly intertwined with an infinite number of other conditions that influenced other incidents in the past, making it decidedly impossible to understand why. As I stood up from the pew, my crumbled tissues clutched in my hand, I looked again at my friend and her family. Though I didn’t know why her dad had lost his battle with cancer, I started to feel more comfortable with the ambiguity. Bad things happen, I thought. The bad things don’t differentiate between “good” and “bad” people. 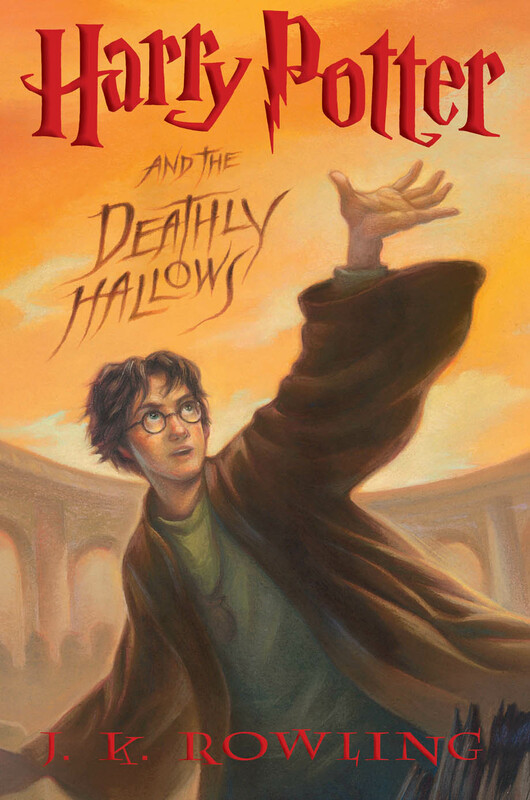 Too many things are factors in understanding why he died. The best thing I can do now is to rest in the fact that my job isn’t to figure out why it happened. My job is to be there for my roommate. And that’s all I need to know. First published January 5, 2009, http://www.alivemagazine.org.